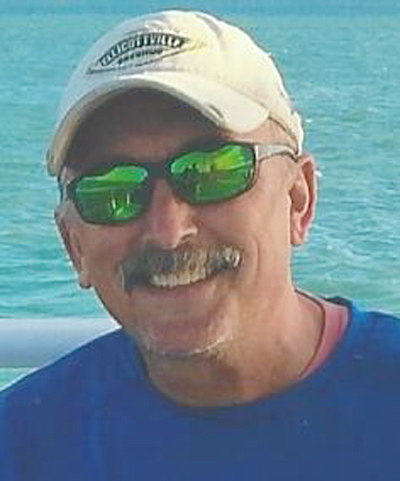 Steven “Swede” Johnson, 62, of Frewsburg, N.Y., passed away peacefully in his home on April 12, 2019, with his wife and children by his side, following a courageous battle with metastatic prostate cancer. Swede’s life was filled with many adventures –it was as if he and Nina knew they would need to fit a lifetime of memories into a short amount of time; they succeeded. In fact, his family often joked that they were aging in reverse. He and Nina were infamous for taking off on daytrips, not telling anyone where they were going. They liked to “shoot from the hip,” spending their days wandering wherever the road took them, sending pictures to their family along the way, saying, “Guess where we are…” He loved spending time on his boat “The Neener Nonner,” floating on the Kinzua Reservoir. Family vacations were a priority. If he could be anywhere in the world, it would be Key West at a Tiki Bar with his family, watching boats go by. Paralyzed since December 1, 2018, everyone Swede encountered, from family and friends to doctors and caregivers, was inspired by his positive attitude and outlook on life. He said many times, “What choice do I have-It is what it is.” We all have choices in life, and he always chose gratitude; grateful for a life well-lived, filled with memories which his family and friends will cherish forever. He would want people to know that he was smiling and making jokes until the very end. Steve is survived by his wife of 36 years, Nina, and their children, Allison and Michael Lampo, Garrett and Bayley Johnson, Lindy and Tyler Miller; five grandchildren, Avery and Madden Lampo, Delaney and Rhett Johnson, and Beck Miller; and a sister, Patty Waite. He is preceded in death by his parents and sister, Susan Crawford.